RHYTHM NATION: Sometimes we find ourselves in a group of people we really care about, but notice there isn’t much solidarity in the group. A “Facilitated Drum Circle” is a great activity for increasing unity and harmony of groups of people. In this article, I’ll talk about this amazing but largely misunderstood activity. Drum circles around the world are organised with the goal of bringing people together. A “Facilitated Drum Circle” is a musical event where all participants play a drum or hand percussion together while sitting in a circle. No musical experience is required, a professional facilitator provides the appropriate guidance for all participants. The goals of the facilitator are to ensure the event meets the group’s needs and to rhythmically empower people. 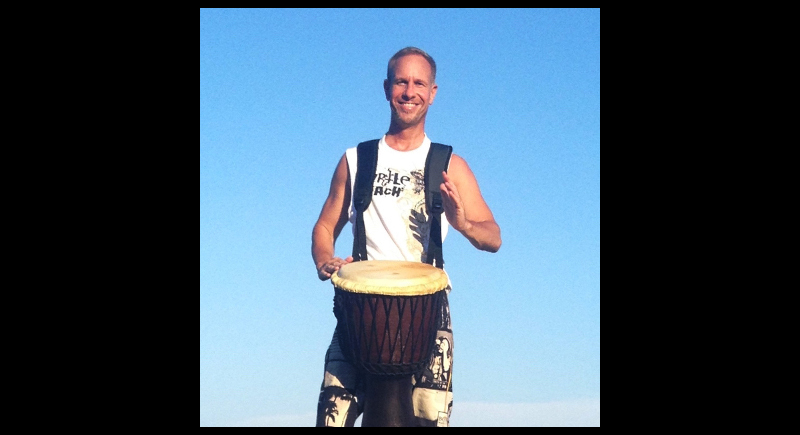 Drum circles provide more than recreation or fun. They increase unity, improve physical and psychological wellbeing, and boost creativity. Facilitated Drum Circles are are used in many settings which include community events, team building sessions, school classrooms, wedding groups, and many different therapeutic environments. Sometimes I notice people at the end of an event with a big smile on their face and also tears in their eyes. They may report “hallelujah” moments or great insights they've learned during the event. The drum circle has two inner workings that never cease to surprise me. First, it is a rhythmical activity that promotes brainwave “entrainment”. This is when our brainwave frequencies attune to external rhythms we hear, usually engendering relaxation, wellbeing, and even excitement. Secondly, the deep sounds of bass drums and percussion reach our bodies not just our ears. These deep frequencies release tension in our muscles, including accumulated tension from stress and depression. This is sometimes referred to as a “sonic vibrational massage” and it feels good. Facilitated Drum Circles bring people together. When we sit in a circle we can see everybody’s face and relate to the whole group. We listen to each other and express ourselves musically in a place where words are finally irrelevant. Everybody’s contribution is equally important in a drum circle as everyone can be heard by the rest of the group. It’s a drumming democracy. Many drum circles around the world are organised with the main goal of bringing people together. 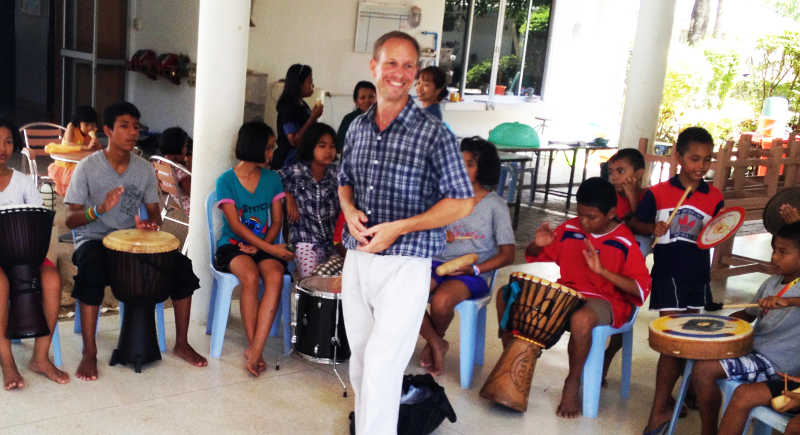 By building stronger groups we strengthen the building blocks of our community, with rhythm!